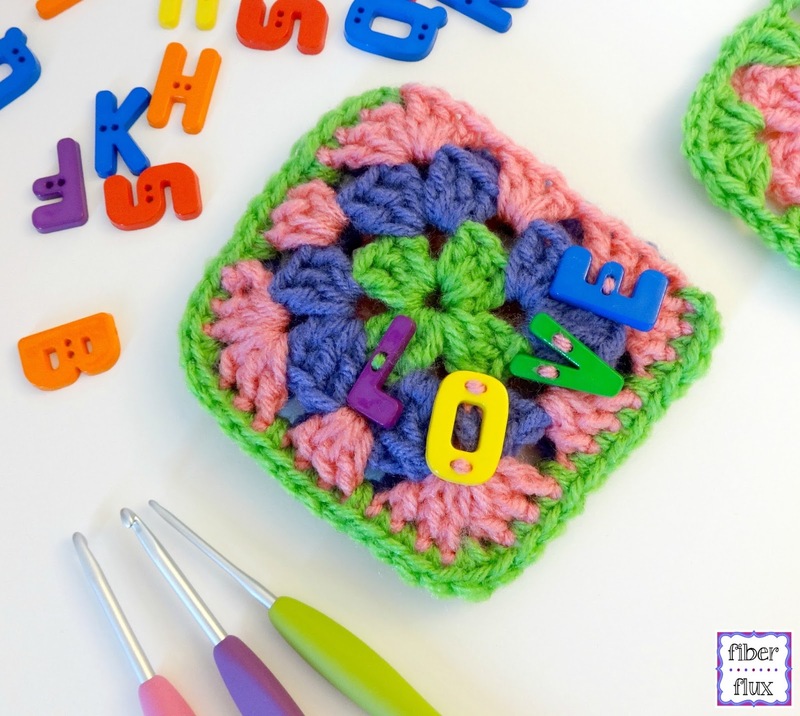 Fiber Flux: Free Crochet Pattern...Granny Gift Card Holder! 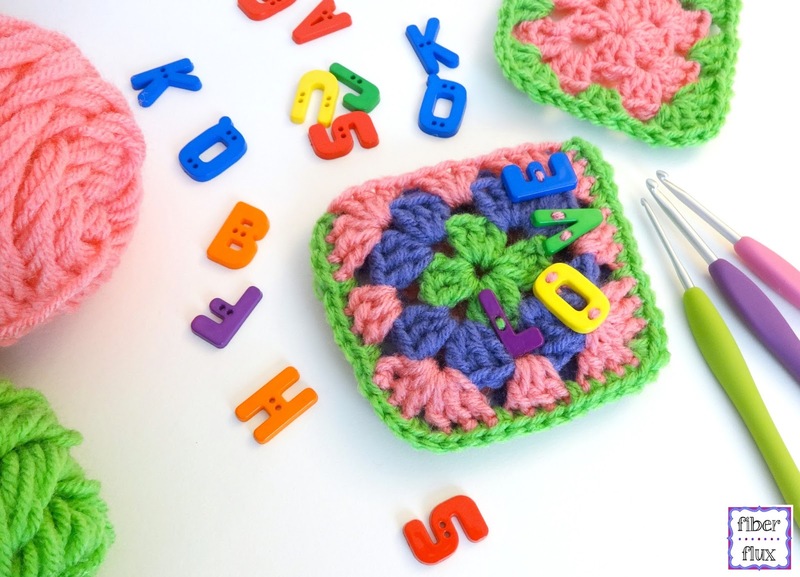 Free Crochet Pattern...Granny Gift Card Holder! The Granny Gift Card Holder is a fun and whimsical way to present a gift card to someone special. You can add someone's monogram, initial, or a sweet sentiment like I did. Just make two grannies, seam them up and you're ready for gifting! 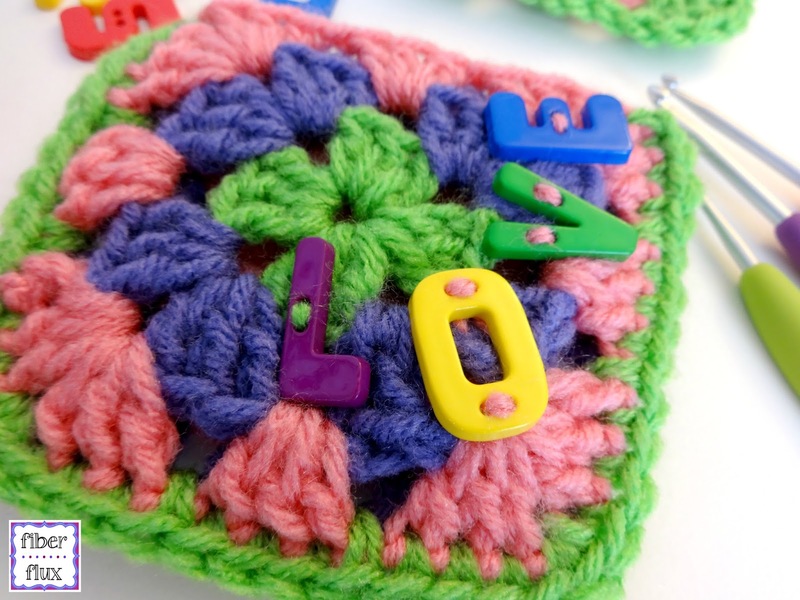 Worsted weight yarn in any colors you like (yarn shown is Red Heart Super Saver in "Spring Green" "Perfect Pink" and "Lavender"
Chain 4, join into a ring with a slip stitch. Round 1: Chain 4, work (3 dc into center of ring, chain 1) 3 times, then 2 dc into center of ring. Join to close with a slip stitch. Now if you want to make round 2 in the same color, simply slip stitch until you reach a ch1 at the corner and keep going. If you want to switch colors...cut yarn, leaving a tail, and fasten it with a slip stitch. Join the new yarn at one of the corners as shown and tie securely. Round 2: To work the corner of round 2, first chain 4, then 2 dc in same space, then chain 1, then 3 dc in the same space...first corner done! Then chain 1, then work the next corner by working 3 dc in next space, chain 1, then 3 dc in same space, chain 1, repeat two more times to complete the round. Round 3: Work the corner in the same manner as the previous round: chain 4, 2 dc in same space, chain 1, 3 dc in same space, chain 1. To work the sides, simply work 3 dc in the next space then chain 1...repeat until you reach a corner again. Sandwich the grannies together with right sides facing outward. Beginning at upper left corner, tie yarn onto both stitches of grannies (both layers). Single crochet in each stitch around, but work 2 sc in each corner. Fasten off and weave in ends. Using matching yarn from the project, sew on button or other embellishments if you like. 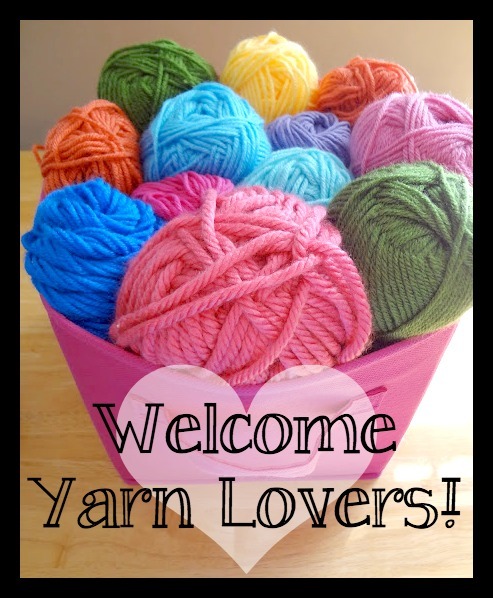 Visit the Fiber Flux Yarn Shop!! I wish you and family a Merry Christmas! So cute! Where did you get those stitch-on letters?